Children of divorce are by definition children of no longer married couples. These children were born from romance, passion, love and commitment in the same percentage as sons and daughters of still-married couples. It is a cruelty we impose upon the innocent to call them 'children of divorce' because that term erases their history and defines them according to their loss in status in the community and security in their family. Every circumstance of a divorce is unique to the couple and children involved. Although separation may remove tension, anxiety and even danger from a deteriorating relationship, other significant changes occur in the family when one parent leaves the home. It is difficult to explain to children how a marriage relationship can end when they equate all family relationships with their own. Children with intellectual disabilities, developmental delays, or chronic health conditions are not alone in having special needs when such a disruption occurs in their family unit. Simple books describing the words they are hearing and those that illustrate some of the feelings that seem to be universal can be helpful for children with disabilities as well as their mainstream peers. It is also helpful for them to know they are not the only ones experiencing the changes and uncertainty that divorce often brings. It may be difficult to find books that represent the diversity in situations that are most distressing to children. Many best-sellers assume that a child with divorced parents will have separate but equal living situations and that both parents are interested in maintaining a strong parent-child relationship with each of their sons and daughters. Many introduce multiple issues that are overwhelming for a child or teen to consider, including parents dating, living with step-parents and dealing with step-siblings. The changes that children experience when their parents separate and divorce are not easy or orderly. Some couples do everything possible to ease the trauma divorce causes in their children's lives. Sometimes only one parent shoulders that responsibility and occasionally both parents are struggling so hard to regain their own equilibrium that they do not focus on the needs of a child. Relationships with extended family may change dramatically when affection and support is withdrawn by former in-laws. Very young children identify so much with their parents that they take to heart any negative remark they hear about their mother or father. Counselors may suggest that both parents keep this in mind and make an effort to say something positive about their ex-spouse no matter how difficult that may be. Divorce is common enough in the general population that the slightly higher occurrences suggested in families raising a child with a disability may not be statistically significant. Kindness and respect for any of our sons and daughters is not evident in the phrase, "children of divorce." It is most important to reassure children that neither they or their siblings are responsible for their parents' divorce. Since it is common for married couples to argue about stressful topics before a separation or divorce happens, siblings of children with disabilities may assign blame where it is not appropriate. This can be reinforced in their thinking if the non-custodial parent seeks visitation with them but not their brother or sister with a diagnosis. It does not take much time for the child left behind to feel both responsible for the change in the family and hurt by the rejection of the absent parent. Relationships with non-custodial parents and extended family can improve over time, but the effects of initial rejection may linger and be expressed in behavior, depression, or post traumatic stress. 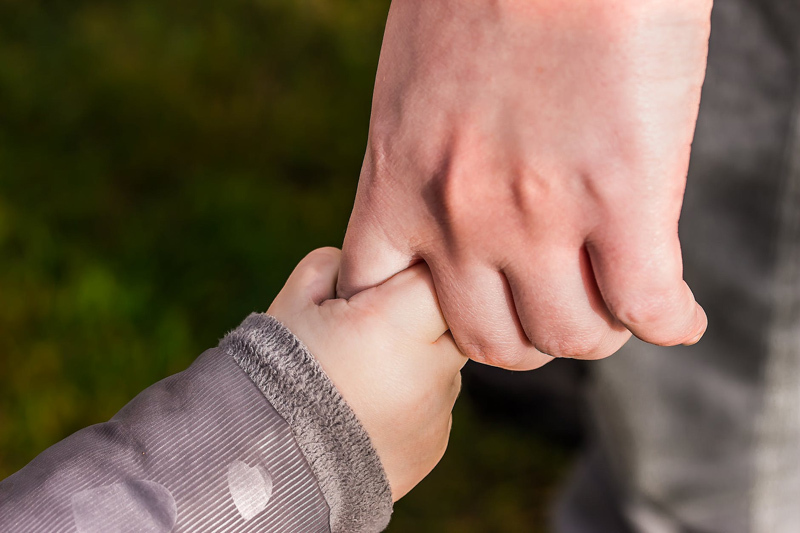 A negative change in income, status and schools by the custodial parent can affect the opportunities available to their child with special needs and mainstream siblings. Loss of shared caregiving and the other half of the family for respite or relationships can add more stress to an already difficult situation. The best support we can offer our children during and after divorce is to give them role models for the resilience they will need to find in themselves as they grow up. They may never know the decisions we made in their best interests or appreciate those times we put their interests in front of our own. Maybe the best we can do for them and for ourselves is to remind them they came from loving, committed relationships that we and they deserved to enjoy their whole lives. Browse at your public library, local bookstore, or online retailer for books for children, like; Standing on My Own Two Feet: A Child's Affirmation of Love in the Midst of Divorce, or Two Homes and and books for adults like Putting Children First: Proven Parenting Strategies for Helping Children Thrive Through Divorce, or Children of Divorce: The: The Loss of Family as the Loss of Being (Youth, Family, and Culture) . What is the truth about the rate of divorce among families of children with disabilities?